Today’s spaces are required to serve multiple functions, with meeting rooms doubling as corporate social spaces and classrooms and training rooms being reconfigured to move from individual to group learning. Often these transformations need to happen quickly, and the ability to push and pull tables together easily and without damaging the table or floor has never been more important. 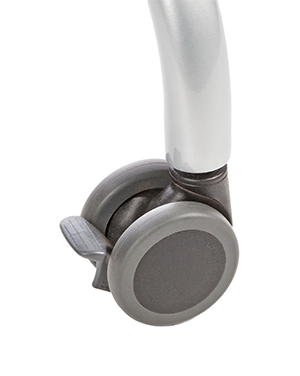 Berco offers multiple mobility options including glides designed to slide on any surface and casters that will stand up over time and heavy use. 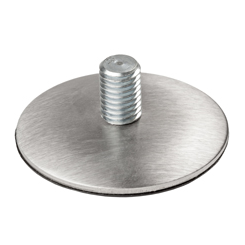 Stainless steel with 1" rivet resists moisture and rust and maintains structural integrity even when moved and dragged. 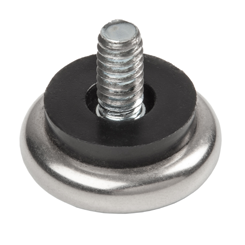 Self-leveling glide allows for easy joining of tables, even on uneven surfaces. Floor-friendly combination of stainless steel and ABS plastic reduces scratching, great for softer floors. 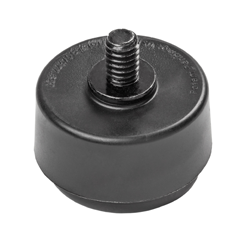 German-engineered caster with rubberized wheel rolls easily over hard floors and carpet, and resist movement when bumped, especially important in high-traffic spaces or when tables are wired together.